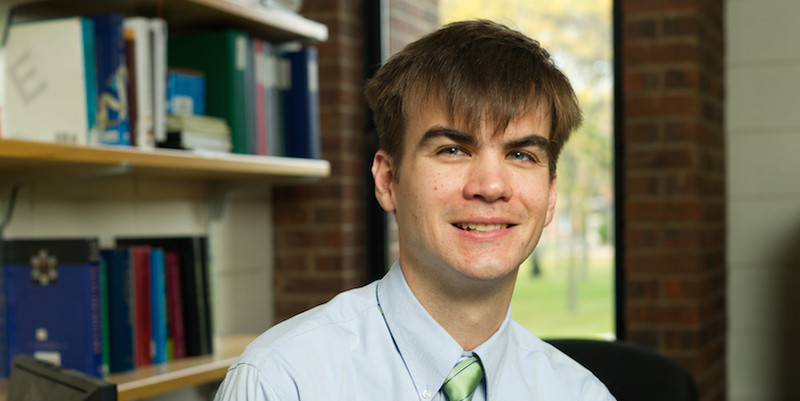 Profile: Dr. Liptak received his B.A. from Hamilton College at Clinton, NY in 2003. He received his Ph.D. from University of Wisconsin at Madison, WI in 2008. Dr. Liptak was a NIH NRSA Postdoctoral Research Fellow at the University of Rochester at Rochester, NY from 2008 to 2011. Dr. Liptak aims to advance fundamental understanding of molecular electronic structure in complex chemical systems where this knowledge can transform the development of new antibiotics and clean energy technologies. In order to achieve these goals, we have developed diverse biochemical (recombinant protein expression, purification, and air-sensitive sample handling), spectroscopic (fluorescence, magnetic circular dichroism, and nuclear magnetic resonance), as well as computational (density functional theory, time-dependent density functional theory, and multi-reference perturbation theory) expertise. Abstract: A diverse array of chemical transformations in biological systems is carried out by the combination of heme and oxygen. Mycobacterium tuberculosis MhuD and Staphylococcus aureus IsdG are representative members of two classes of enzymes that use molecular oxygen to convert heme to mycobilin and staphylobilin, respectively. These products cannot be rationalized based upon known heme–oxygen chemistry, leaving several open questions regarding the mechanism by which these enzymes activate oxygen for regiospecific oxygenation of the heme substrate. We have employed a variety of optical and magnetic spectroscopies, along with single- and multi-reference electronic structure calculations, to characterize substrate binding and the activation of two key enzymatic intermediates. We have discovered that two essential second- sphere amino acids work in concert to catalyze the first oxygenation of the heme substrate. The second-sphere interactions bring a peroxo moiety close to the site of heme oxygenation, and increase the electrophilicity of this carbon. I will discuss the major implications of our data with respect to heme–oxygen chemistry, and outline the future directions of our research.